CoLAT is pleased to announce that following a substantial bequest to the Trust by Rosemary Green, the Trust has decided to allocate most of her bequest to the creation of a fund to support large and exceptional archaeological projects in the London region and within its sphere of interest. 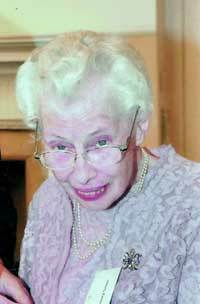 Rosemary Green, who died in March 2012, was a librarian with many interests, including heritage and philately. She made substantial bequests to several charities apart from the Trust, that is to the Friends of City Churches, the Historic Churches Trust, the Postal Heritage Trust and the Philatelic Society. She lived in Poole, Dorset. The CoLAT Rosemary Green Grant is a one-off award of up to £80,000, payable over a period up to three years, for a single project. It is intended to foster a project that makes a major strategic impact on our understanding of the City of London’s historic and prehistoric past through archaeological research. There is no specific geographical boundary to define the City’s environs; however applicants must demonstrate a link between their project and the City. The Trust advertised the grant in 2014 and there were seven strong applications. Three were shortlisted and their project leaders interviewed in February 2015. CoLAT then awarded the project to Jelena Bekvalac and her colleagues at the Centre for Human Bioarchaeology at the Museum of London for their project, The impact of industrialisation on London health. Here is the project outline and the joint Museum of London-CoLAT press release of 24 April 2015 about the project.